12V battery recharger. 1.5 amp. Will safely recharge any 12V sealed lead acid battery. 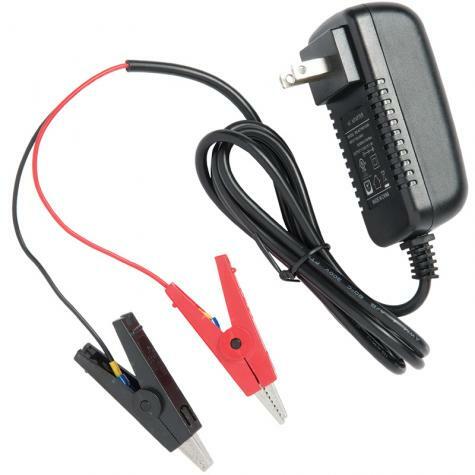 Simply plug into an outlet and connect the red clip to the positive terminal and the black clip to the negative of the 12V sealed lead acid battery. When charging, the light on the charger should show red. When the battery is fully charged the light will turn green. Note: If a battery has been in use but shows a green light (with no charge time) the battery will not take a charge. Recharge time depends on your battery size (in amp hours) and on how depleted the battery is. To avoid damaging batteries, always recharge them prior to power level falling below 40%.